Governor Ifeanyi Ugwuanyi of Enugu State amid jubilation and commendations from traders in Ogbete Main Market, Enugu on Tuesday inaugurated the main access road in the market with mini parking lot rehabilitated by his administration to improve the standard of the commercial area and enhance business activities. Inaugurating the road, Gov. Ugwuanyi, who acknowledged cheers from the traders, noted that the project was in keeping with the promise he made during his campaign, adding that his administration had carried out other interventions towards the development of the market. 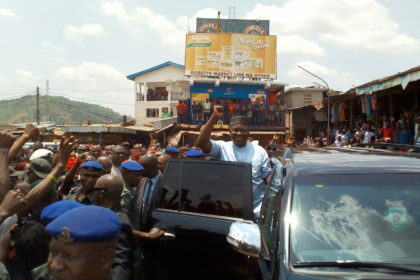 The governor recalled the difficulty he encountered accessing the Holy Ghost Cathedral, Enugu, for a thanksgiving Mass a day after his inauguration because of the deplorable condition of the Ogbete Main Market-Holy Ghost Cathedral dual carriageway, saying that his administration’s prompt intervention on the road addressed the ugly situation. “Today, I’m happy that I entered Ogbete Main Market without gridlock. I saw that you people are happy too and to the glory of God there is peace here”, Gov. Ugwuanyi said, stressing: “We can’t talk about development without peace”. Gov. 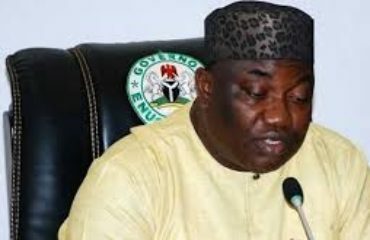 Ugwuanyi stated that Enugu State has been a reference point for peace and security because “the state is in the hands of God”, and noted that when 27 states were unable to pay workers’ salaries owing to the nation’s economic challenges, his administration was able to pay to reactivate the economy of the state. The governor, who assisted 30 owners of the burnt corn-mill shops at Ogbete Main Market, Enugu with the sum of M3 million, informed the traders of the recently re-launched empowerment scheme for them, revealing that the package was doubled to accommodate additional 100 winners every month with 17 other markets added to the existing 37 to ensure that more traders benefit, accordingly. While urging the traders to take advantage of the on-going voters’ registration exercise to obtain their voters cards, the governor promised to continue to lead with the fear of God and live a simply life by always identifying with the commoners and the lowly to give them a sense of belonging as the true heroes of democracy. In his welcome address, the Caretaker Chairman of Ogbete Main Market Traders Association, Hon. John Eze thanked Gov. Ugwuanyi for his development strides in the state, especially in the market and reassured him that the traders will reciprocate the gesture by voting for him overwhelmingly in 2019. Also speaking, the Commissioner for Works and Infrastructure, Engr. Greg Nnaji explained that the road was one of the best projects executed by the ministry through direct labour and appealed to the traders to clean and protect the road for the public’s benefit. The Executive Chairman of Enugu North Local Government Area, Hon. Emma Onoh, also applauded Gov. 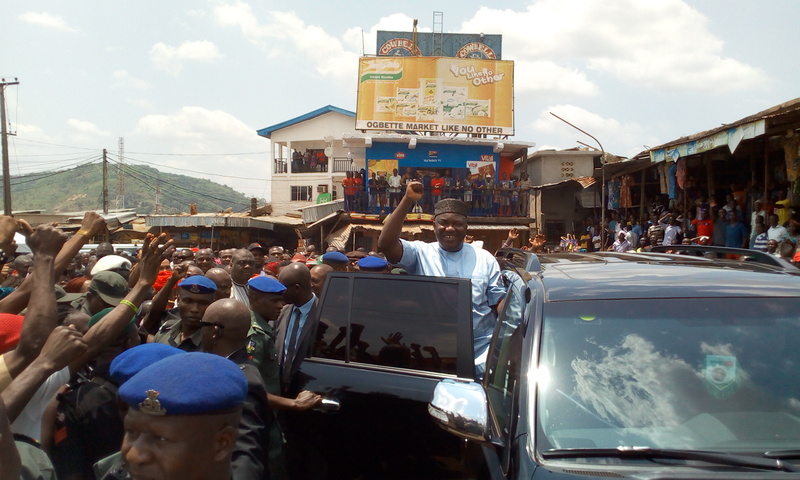 Ugwuanyi for his legacy projects in the area, stating that through the 9th Mile –Ekochin- Ngwo- Miliken Hill-New Market road, Ogbete Main Market roads, among others, the council has received a fair share of its dividends of democracy, promising that they will deliver 100 percent votes for the governor in 2019. Other speakers, namely the Member representing Enugu North Constituency, Hon. 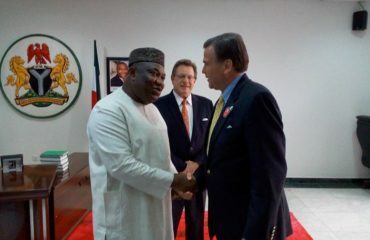 Philip Nnamani, and the Commissioner for Commerce and Industry, Barr. Sam Ogbu-Nwobodo, described the governor as “a promise-keeper” and “the Trader-in-Chief of Enugu State” respectively, and urged the traders to continue to support his administration.